The circulation of the new type of drug, Rouge et Noir, and the battle between the Narcotics Control Division of the Port and Harbour Ministry of Welfare and the crime syndicate, House, which was distributing the drugs, continued. However, the struggle for supremacy began to collapse due to a tear that opened up within House. Suou Eiji, of the Special Criminal Investigations Department (also known as SCID), saw this as a great opportunity and personally set out on an investigation to destroy House. As a new narcotics officer belonging to the SCID, you gradually build a relationship of trust with the highhanded Suou while opposing the means of his investigation. “Eye in the sky” isn’t a poker term but it is a casino term! It refers to the security cameras that are set up to monitor the seats, tables, hallways, restaurants, and even elevators. It’s to help the casino catch anyone who is cheating or counting cards (a type of cheating) or committing crimes. 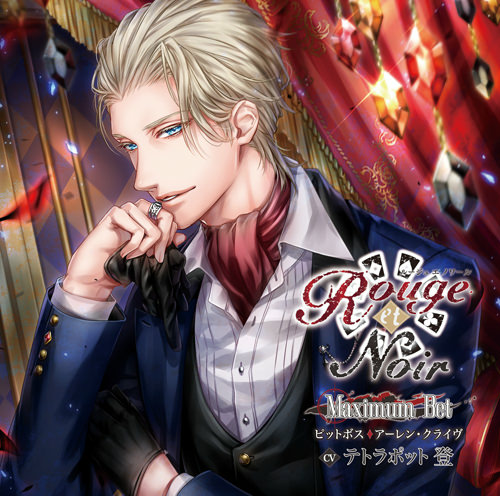 This entry was posted in Drama CDs, Rouge et Noir and tagged Hanakagami, R18, Vol.4. It’s been about one year after the flood of the new strain of drug, Rouge et Noir. The crime syndicate, House, has lost the majority of its active bases as a result of the investigation from the Narcotics Control Division of the Port and Harbour Ministry of Welfare, and that series of events is heading to an end. During this, Makabe Ryo, a narcotics officer belonging to the Special Criminal Investigations Department (also known as SCID), and you, a narcotics officer in the same division and the “buddy” of Makabe, seize unexpected drugs in a separate investigation. It is a liquid variant of Rouge et Noir, known as Second Barrel. You and Makabe obtain information that the seized Second Barrel is being sold at the headquarters of the Chinese mafia, Xiang Mao, and so you two infiltrate an underground casino in Macau in order to expose this, but–. Second Barrel, or more commonly known as Double Barrel, is a bluffing or semi-bluffing move. Sorry, we’re going to have to dive into some more poker knowledge here. There are many variants of poker but a very popular one among casinos is Texas Hold’em (which I’m sure Makabe’s CD is based off of because of the terms), where players are dealt two cards and then there’s 5 community cards face-down on the table. The goal is to create the strongest 5-card hand using your two cards + the 5 on the table. The community cards are revealed after turns in the order of “flop” (3 cards), “turn” (4th card), and “river” (5th and last card). Now, the game opens when a person makes a bet. Then others can either fold to exit out, call to match that bet, or raise to increase the bet. Now, bear with me, the person who raises in this round is called the “pre-flop raiser” (or original raiser in Arlen’s CD). And then, once the flop happens and 3 cards are revealed, this person bets again to do a “continuation bet”. And then, once the turn happens and the 4th card is revealed, this person bets again to become the “Second Barrel”. Basically, the whole point of this is to actually bully the other players into folding because they’re scared of how aggressive you are LOL and they think you have a strong hand. But the Second Barrel is doing this regardless of whether they’ve made a hand on the table or not. Hence, a bluffing or semi-bluffing move since you could very well end up with a strong hand. 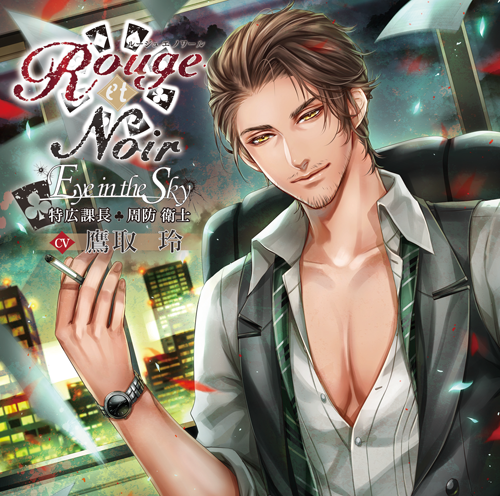 This entry was posted in Drama CDs, Rouge et Noir and tagged Hanakagami, R18, Vol.6, Yamanaka Masahiro. It has been about a year since the overflow of the new strain of drug, Rouge et Noir. As that series of events head to an end, due to the weakening of the crime syndicate, House, you spend vexing days just concentrating on treatment from the aftereffects you suffered because of your deep cover operation a year ago, staying in the Special Criminal Investigations Department (also known as SCID) as a narcotics officer. But the fugitive, Arlen Clive, a top executive of House, suddenly appears in front of you. You are cautious as Arlen approachs you with a temporary partnership. Although mutual interests coincide, Arlen’s real intention cannot be seen. You are at a loss as to whether you should take that extended hand or not, but–. Just to keep things consistent. The title “Maximum Bet” refers to the maximum a person can bet at a gambling table, because sometimes there’s limits. Of course, there’s also a no-limit poker. 30SEP2018: Added Mikado-sensei’s teaser letters from Arlen to count down to the release of his CD. 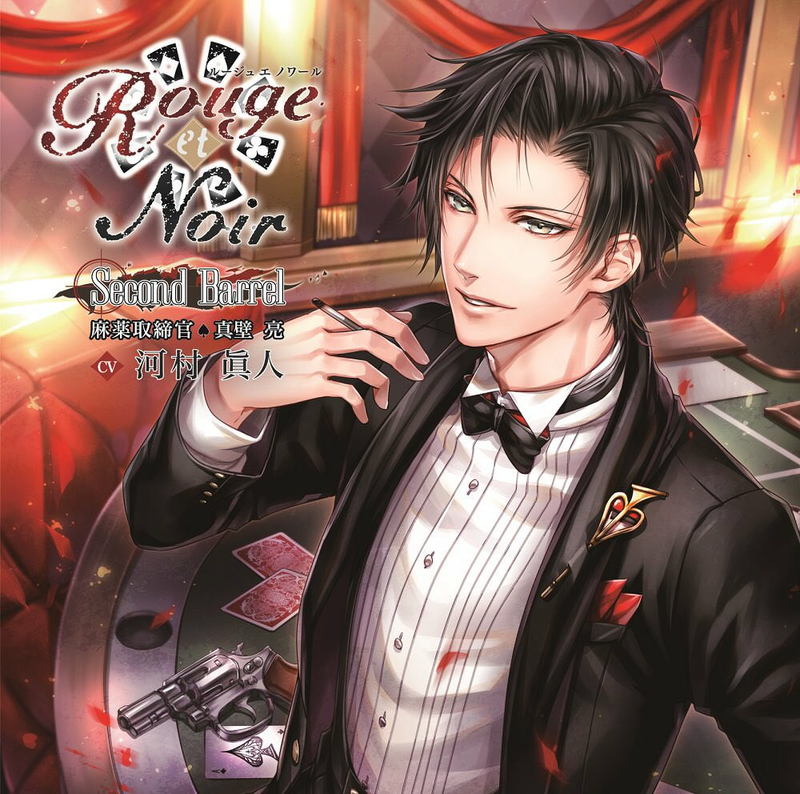 This entry was posted in Drama CDs, Rouge et Noir and tagged Furukawa Makoto, Hanakagami, R18, Vol.8.